Something needs to be done about this area regardless. There's a retail space that is at-least twice the size of the IGA that remains vacant since the building was complete. It's for this reason that I don't trust Samaras to fill the minute Adelaidean retail component with anything (or at-least anything worth-while). If I had my way, I'd buy back each of the apartments above and start again. ORah. Foodland is opening at Mall and Pulteney. seems to be plenty of business. 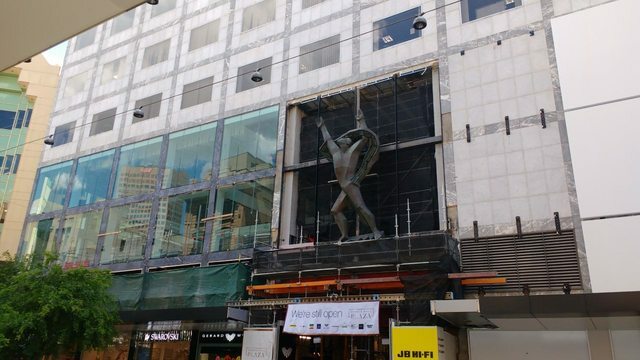 THE Progress Sculpture, which has looked over Rundle Mall for more than 50 years, has been reinstalled ahead of the arrival of Swedish fashion giant H&M. 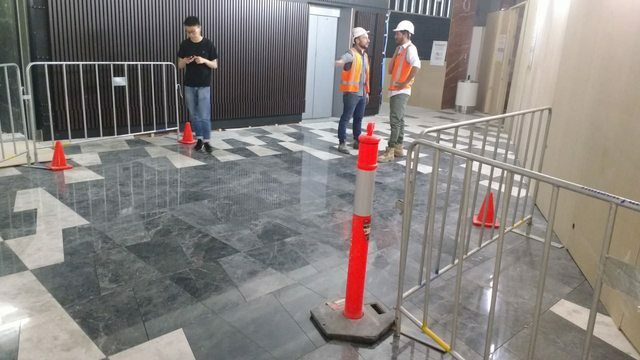 Adelaide conservator Artlab Australia has completed a restoration of the neo-cubist welded copper wall sculpture, which was taken down in December. Created by renowned artist Lyndon Dadswell, the sculpture represents the spirit of progress and was first installed at the site of Rundle Mall’s original David Jones department store in 1963. Building owner Weinert Group executive director Peter Weinert said builder Hansen Yuncken had reinstalled the major elements of the Progress Sculpture last night, with two small elements to follow shortly. “Artlab Australia has done a wonderful job restoring the Progress Sculpture back to its original glory and we are thrilled it has been returned to its home for many generations to come,” he said. 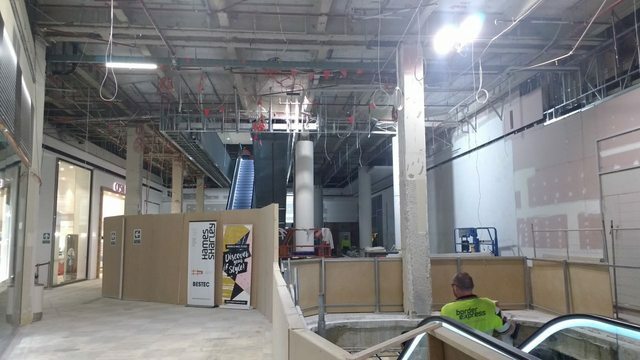 Rundle Mall Plaza is currently undergoing a $40 million redevelopment, with anchor tenant H&M set to open its doors on November 2. 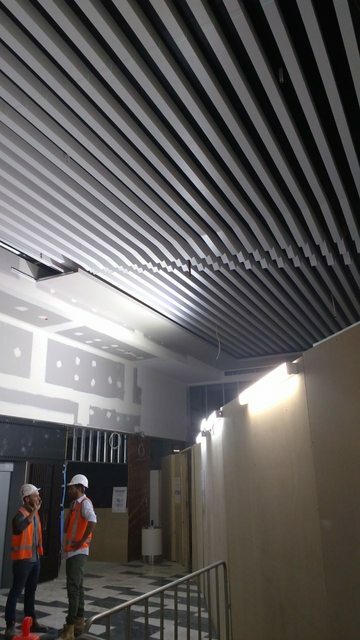 Mr Weinert said future stages of the project were on track to open in the coming months. 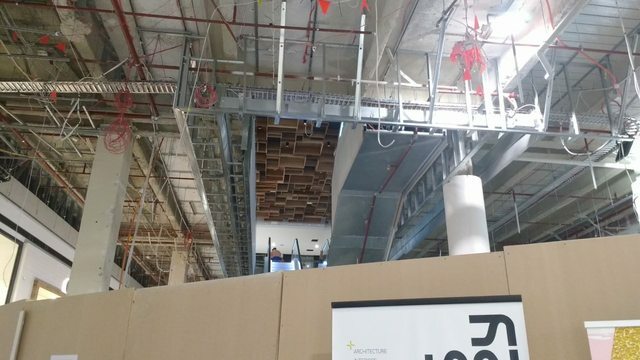 “South Australia’s first H&M store will open officially on 2 November as the first stage of the redevelopment,” he said. Please tell me they're not putting that cladding on the whole building. 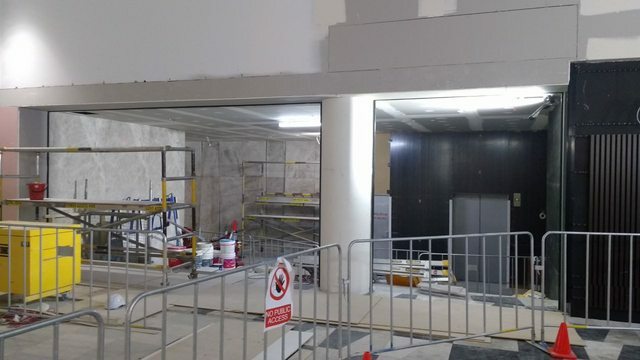 No, just the Gawler Place corner where H&M will be. I'm glad this sculpture is being reinstated. Good to know that some developers and builders still care about heritage items. The restoration of the sculpture wouldn't have been cheap either. The windows shown to the left of the white cladding look good and should open up that building rather well. Previously it was a bit dark and not very exciting inside especially upon entry. Regarding H&M though, it would have been nice if they could have taken over the GPO similar to the one in Melbourne but hopefully our store will still look just as nice as Melbourne's. It would be nice though the Melbourne GPO / H&M is located in the heart of their main retail precinct (Bourke St Mall) which is thriving 7 days a week. Our GPO building is surrounded by office buildings and is dead in comparison to Bourke St and Rundle Mall. The planned Adelaide store is probably the best location for a store like H&M, perfect exposure which will hopefully attract more big names to the area. I do recall a multi-level retail space planned for the Gallerie site on Gawler Place. I do recall a multi-level retail space planned for the Gallerie site on Gawler Place. Wasn't that part of the Le Cordon Bleu building? May as well assume that's dead given they've been given the space at Lot 14. Good point crawf. I didn't really think along those lines. Don’t think it’s dead but they would need to find a similar calibre/sized tenant or tenants to lease that area to be viable & proceed with building the development. Would've been nicer if that glazing to the left hand side of the sculpture was carried all around the building instead of that white cladding with the H&M logo. 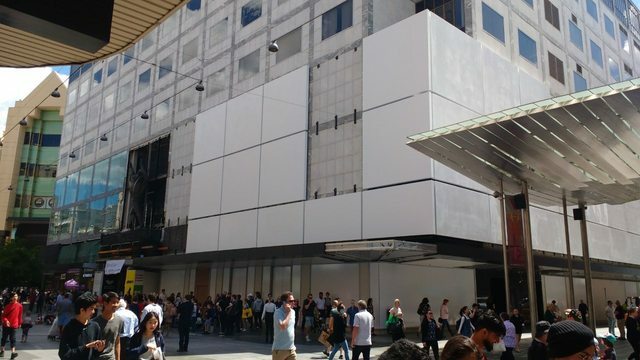 I like the white cladding it will look better once the front at street level is complete. I wish the green windows were carried all the way up through the rest of the tower. Would match better with the Myer centre and not look so patchy.